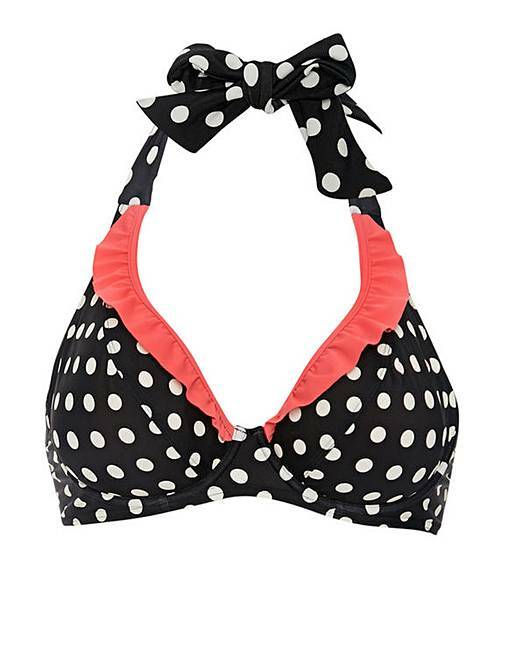 A fun twist on a classic style, the figleaves swimwear Tuscany Spot Underwired Non Padded Halter Bikini Top exudes a retro feel with playful polka dots and contrast ruffled trims. The non-padded, underwired cups offer fantastic support and shape. "Body Fabric:80 % Nylon 20% Elastane Powernet Lining:84% Nylon 16% Elastane Rigid Liner : 100% Nylon Exclusive Of Trims"